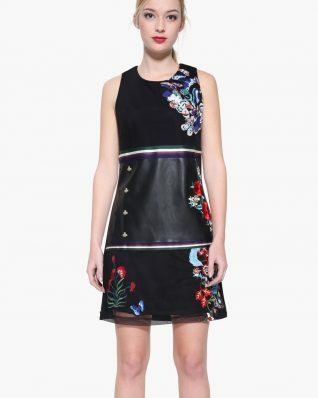 Desigual Dress “Geraldine” – spectacular black pinafore dress with faux leather bodice detailing and gorgeous floral embroidery! 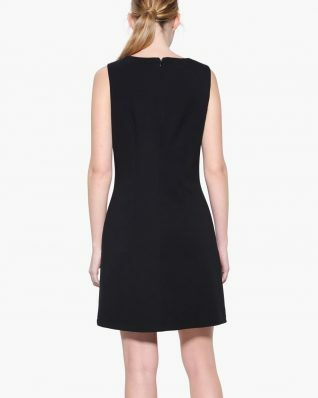 Stunning fit, stretchy fabric, zipper on the back, sleeveless. Exquisite french inspired bohemian style, wow! Featured at NY Fashion Show. With Lining. Polyester – Viscose – Polyamide – Elastane. Style # 17WWVWD0. 17WWVWD0_2000.Dresses Fall Winter.